This post is by guest writer Sarah Minazzo. Admittedly upon viewing Crystal one can’t help but compare to what came before in the original 1992 anime series. It is also interesting to note that Toei Animation has produce both series. This new series is one that follows the original manga by Naoko Takeuchi with utter faithfulness and completes the events of the first story arc, The Dark Kingdom, in only 14 episodes as opposed to the 1992 series’ 46 episodes! In this way, one could consider Sailor Moon Crystal is to Sailor Moon as Dragonball Z Kai is to Dragonball Z. Of course, it isn’t necessarily the case of combining two or three episodes into one but much rather that it trims a lot of the youma (demon) fat, getting right to the main A-line story we’re all invested in the series for. For those who aren’t up on their Sailor Moon, the legend begins with a 14 year old girl named Usagi Tsukino, an absolute klutz who on her way to school running late has a cat fall from the sky and land on her. That cat, Luna, is the turning point in Usagi’s otherwise normal teenage life. With Luna’s help, she becomes the legendary Sailor Scout, Sailor Moon, Guardian of Love and Justice, in order for her to save her friend and others from a youma. In episodes 2-4, we meet Ami (Sailor Mercury), Rei (Sailor Mars) and Mamoru (Tuxedo Mask). Luna informs the Scouts that their mission is to find and protect the Moon Princess and the Legendary Silver Crystal from deadly enemy hands, led by Queen Beryl and her four Knights: Jedite, Kunzite, Nephlite and Zoisite. Already in these episodes, we see the first of the transformation sequences for which the original is renowned for, and they are a mixed bag. They still have all the build-up the original variants had, however the sequences are no longer as drawn out and have a semi-3D animation look to them. It seems a little out of place to suddenly have that effect there when the rest of the sequences won’t have any traces of this. Also it’s apparent that there are notable differences in character development when compared to the previous 1992 series. For instance, Rei (Sailor Mars) doesn’t really argue with Usagi — she’s more of an introverted character and is already about as spiritual as she became in the original’s later seasons. Ami (Sailor Mercury) is far more passive and her intellectual capabilities are widely underused throughout this story arc. Mamoru is kept fairly mysterious at this stage, but his classic insult of “bun-head” still remains, much to my delight. 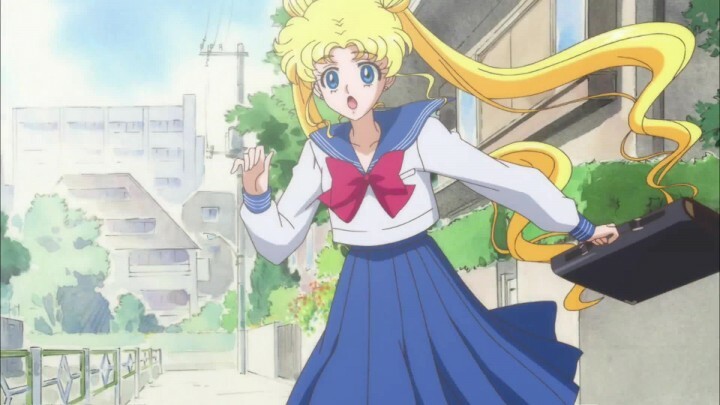 These episodes don’t generally have a lot of character development, but what a joy Usagi is in Sailor Moon Crystal! She’s no longer the annoying crybaby of the original. We have a lot more insight into her thoughts and she is a big-hearted individual — a heroine that we can genuinely cheer on and sympathize with. The introductions continue with the entrance of the gutsy Makoto (Sailor Jupiter) and the mysterious Sailor V (later better known as Minako, Sailor Venus). 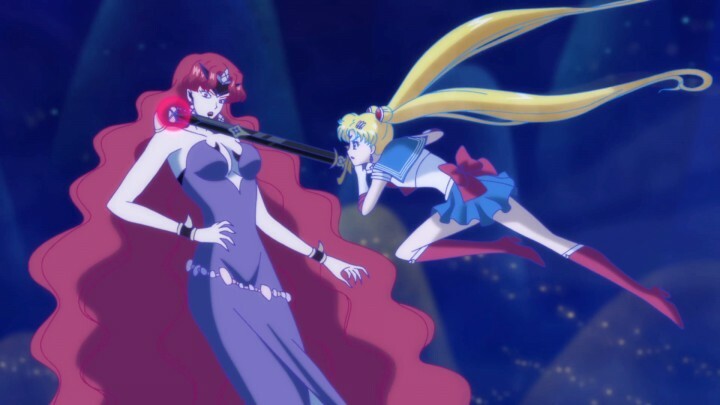 Makoto’s introduction in episode 5 is a perfect example of another big difference in Sailor Moon Crystal — we see more diversity in the Sailor Scouts attacks, and each of the Scouts are formidable warriors that can defeat a youma without the aid of Sailor Moon. This is definitely refreshing and faithful to the manga. Here’s to hoping that this trend continues in future seasons. Within this portion of episodes, the other Sailor Scouts remain side characters, lacking any character development as the episodes roll on. The only characters you really get to know are Usagi and Mamoru. The depth of their relationship across time is what really forms within these episodes as they start to remember their past lives. Their past romance is on par with Romeo and Juliet, ending in equal tragedy dooming both their kingdoms. At the same time, the threat of the Dark Kingdom starts to become more dramatic and real with a great sacrifice and loss, leaving Usagi grief-stricken. Her first confrontation with Queen Beryl leaves her shaken and finally grasping the gravity of the situation. However, she and the other Scouts start to unlock past memories with the Legendary Silver Crystal, setting up the final climax of this season. Here Crystal picks up the pace, galloping towards the final nail-biting conclusion. With the memories of the Sailor Scouts awakening, Luna takes them on a trip to the Moon Castle for some surprise revelations. The Dark Kingdom’s attacks on Usagi and the Sailor Scouts become very personal, culminating in a final battle inside their own Command Center. For those who’ve seen the original series, the ultimate fight with Queen Beryl and Queen Metaria is entirely different. I applaud the Scouts for being more useful and their attacks actually causing some serious damage to Queen Beryl! I was frustrated with Queen Beryl for being a watered down puppet of Queen Metaria instead of the aggressive villainess from the 1992 series. However, the battle is every bit as exciting as the original version, even though I already know how it’s meant to play out from the manga. Overall, the animation is simply elegant and follows all the design cues of Takeuchi’s original illustrations. There’s an amazing amount of detail and the obviousness of reused animation cells that the original anime had are no longer present. The designs are even more feminine than before with lots of curves and a lighter pastel palette versus the darker and bolder style of the original anime. The music throughout the series is theatrical and orchestral, adding further magic and mystery to all of the epic moments. 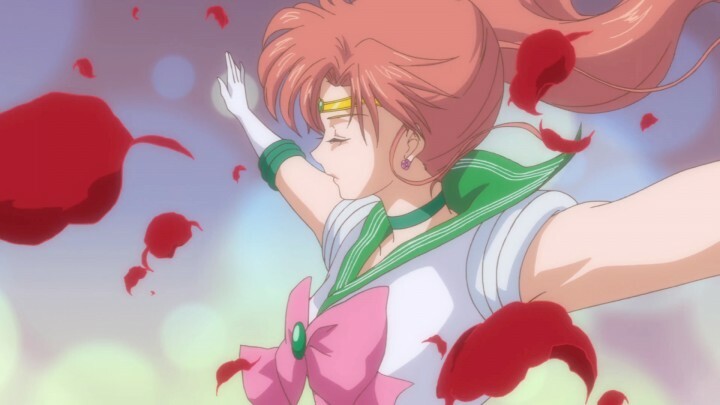 The opening theme, “Moon Pride”, is poppy and full of magical girl power lyrics while the ending theme is appropriately a romantic ballad set to animations of the Silver Millennium versions of Usagi and Mamoru (i.e. 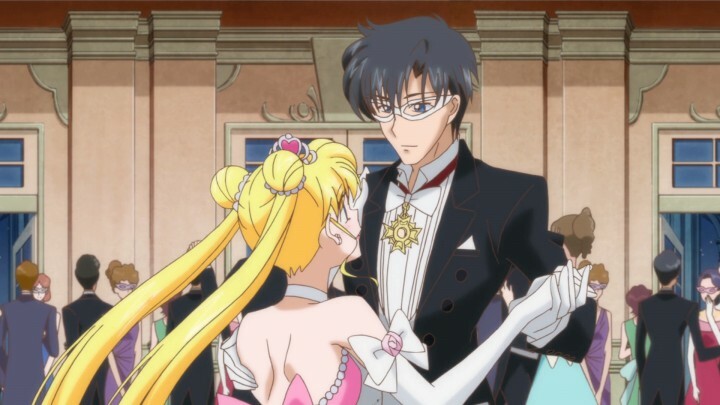 Princess Serenity and Prince Endymion). Gone are the diva ballads that used to play through montages during the Scouts’ low points as well as the segments of euphoric pop songs leading up to the high points of the finale. We now have an exceptionally faithful adaptation to Takeuchi’s masterpiece manga. 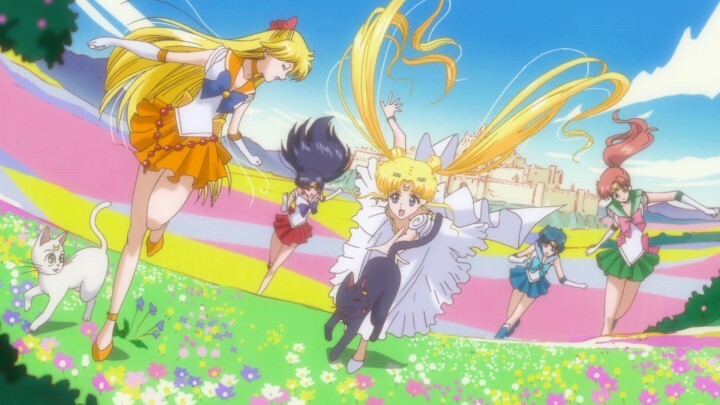 This series proves why Sailor Moon is still the go-to example of the magical girl anime genre. It expertly mixes mythology and legend into the normal world of teenage girls whilst being empowering and endearing. I miss some fun episodes of the original, which supplied a lot of deeper character development for the side characters. But I also love that we now have an exceptionally faithful adaptation to Takeuchi’s masterpiece manga, with tighter storytelling and beautiful production values worthy of the original works and the fans. Sailor Moon has been the classic figurehead of the genre for over 20 years, and will continue to be thanks to this new series. 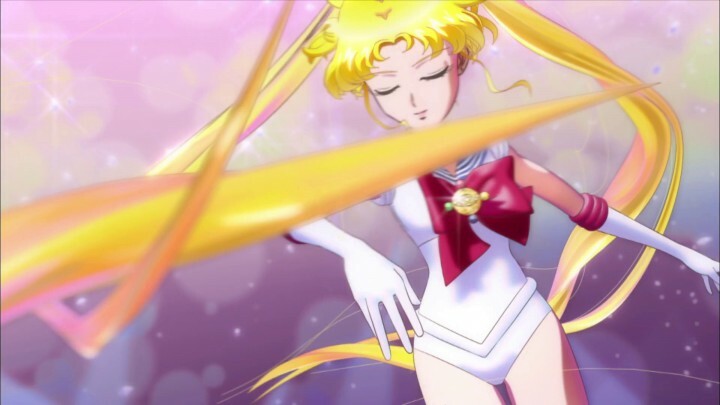 I look forward to seeing how the remaining storylines and future characters are brought to life in the modern and polished world of Sailor Moon Crystal.